Last week I was on a client call with an east coast based Fortune 500 retail company that told me they needed a change. They would no longer simply delegate Hispanic marketing work to internal employees that happened to speak Spanish (Yes, this actually happens). In testing of this internally created Hispanic content, they found that their brand’s true message was not coming across. They explained further that they cared about their Hispanic outreach long term. Wow. That was refreshing to hear. I’ve spoken to too many large companies and global brands that are simply looking for the quickest and cheapest way to create Hispanic content. In these conversations, I rarely hear mention of the quality of the work they would receive and how it would resonate with Hispanics of all different backgrounds. It was stimulating as I’ve seen more and more companies who seem to leave their Hispanic marketing work up to Hector from Accounting. Who is ‘Hector from Accounting’? So, who is ‘Hector from Accounting’? Basically, whenever a company doesn’t have the time, effort, budget, research, etc to launch a Hispanic marketing campaign appropriately, they instead delegate this work to an internal employee that speaks Spanish. This is what I refer to as the utilization of Hector from Accounting. 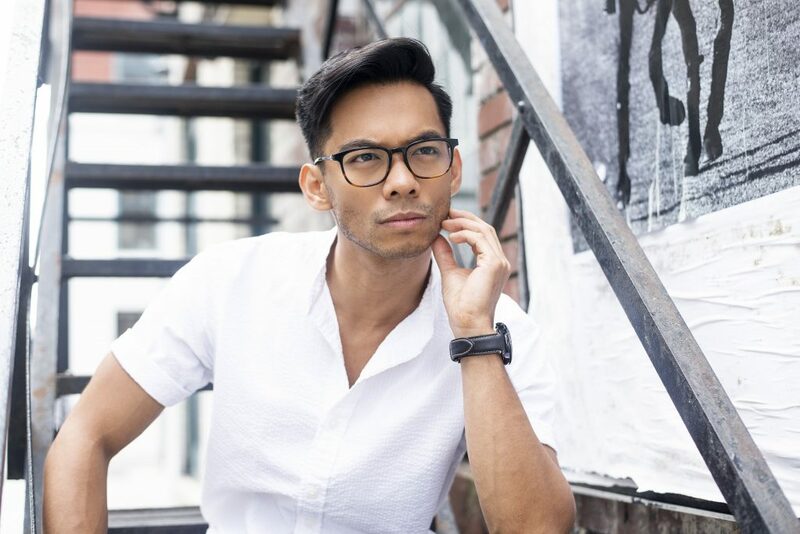 I have spoken often about Hector from Accounting in presentations and client meetings since 2010 but finally decided to write about him in order to provide a warning about this tactic. This isn’t just a Hispanic content issue either. I have seen the usage of versions of Hector from Accounting with all kinds of multicultural advertising in addition to Hispanic ads. For example, many companies think that pasting an African American stock photo on their website is sufficient to make a culturally relevant advertising campaign or diversity initiative towards this demographic. 1. Any time you see a Spanish-language social media ad on Instagram that just doesn’t make sense and you wonder why. That was Hector from Accounting. Case in point – see the Coors Light ad at right. 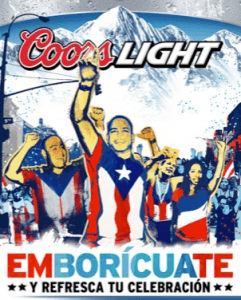 This ad, created to form a tie between Coors Light and the Puerto Rican Day parade in New York City only succeeded in upsetting Puerto Ricans everywhere. Hector’s invented verb emborícuate can be implied as a play on words of the expression ‘to get drunk’. Puerto Ricans took issue as it implied that is was more important in their culture to get drunk than to celebrate this important day. 2. Anytime you see a Spanish sign that reads like it was straight-translated from English. Yes, that was Hector from Accounting. Note that many of these signs contain typos as well because Hector is not a copywriter and makes mistakes in areas in which he is not professionally trained. An excellent example of this is the Starbuck sign at right. 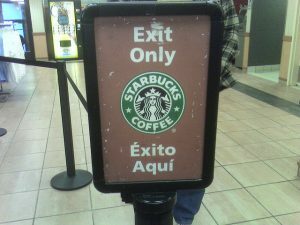 In it, the expression ‘Exit Only’ is incorrectly translated as ‘Success Here’ as Hector incorrectly chose the word ‘éxito’ (instead of ‘salida’) as the translation for ‘exit’. 3. Anytime you see a happy team of professionals with a token brown or black hand in a sea of white hands. Yes. That too was Hector from Accounting. 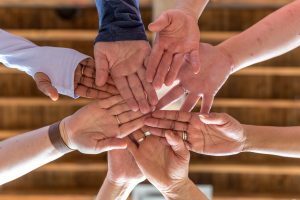 Why would Hector choose an image of hands to represent teamwork and diversity? Most likely because Hector doesn’t have a marketing background and he doesn’t know that this kind of stock photo was overused in the ’90s and 2000’s and is rarely seen anymore. These are just a few examples, there are many more of course. Hector would approve of all of these ads. Why Not use ‘Hector from Accounting’? 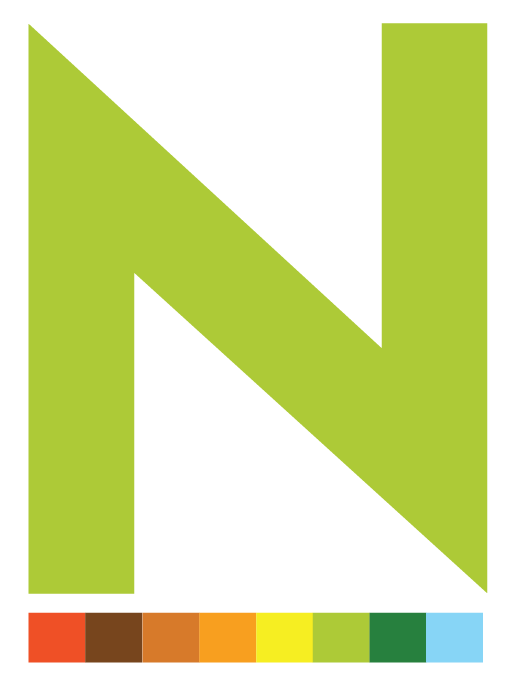 Nativa has published how-tos on translation before, and we highly recommend this brief article that illustrates the top 4 ways to translate content to Spanish. Our agency has done this for 10 years and through this, we feel that we have learned a few things. We know the wrong strategy is to simply have someone from your team without a marketing background create your Hispanic marketing campaign just because they happen to speak Spanish. 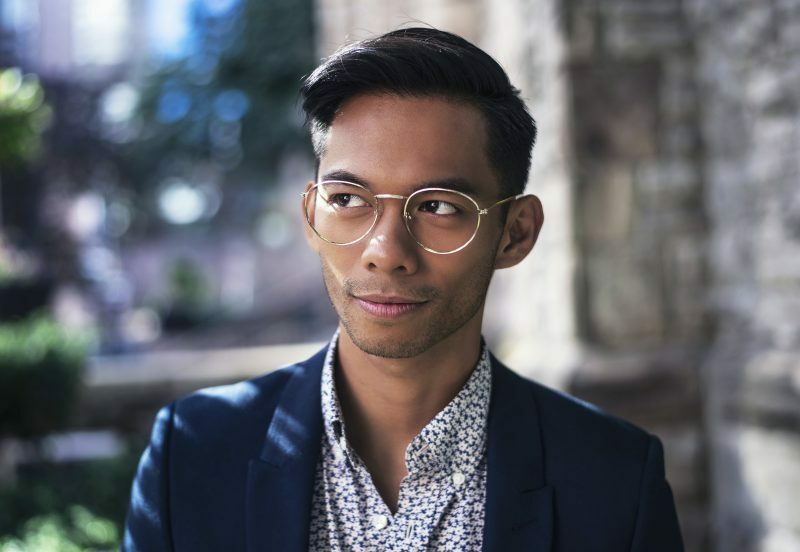 Utilizing a Hector from Accounting tactic does save money, but squanders opportunities to make an enduring connection with the Hispanic demographic that is the fastest growing in both population and purchasing power. The equivalent of delegating to Hector from Accounting would be for a major European brand (let’s say Ikea) to have their warehouse manager or data analyst create their English language marketing campaign simply because he/she speaks both Swedish and English. The best case scenario is the global brand would receive English content that is intelligible, but it is highly unlikely that the brands’ tone, characteristics, or values would be articulated accurately by a person that has little to no copywriting or marketing experience in either language.